Beelieve You Can! : Where Is Your Focus? Contrary to what some believe, Peter was not testing Jesus, which is something we should never do (4:7). Instead, Peter was the only one of the disciples in the boat to act in faith. Peter’s impulsive request led him to experience an awesome display of God’s mighty power. 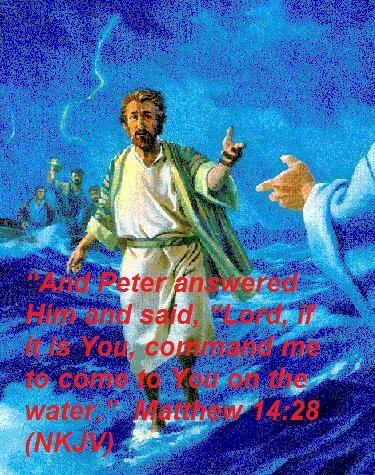 But when Peter realized what he was doing as He started to walk upon the water, his faith began to waver. Peter took his eyes off Jesus, focused on the high waves around him, and started to sink.